With Computer-Aided Manufacturing (CAM) becoming more common-place on the manufacturing floor, it plays a crucial part in the day-to-day operation of manufacturing plants worldwide. Here’s how to futureproof your computer-aided manufacturing process. If you’re using CAM to assist in all operations of your manufacturing plant – whether it’s for planning, management, transportation, storage or monitoring stock levels – you stand to increase your profits because you’ve streamlined your manufacturing process. That’s good. However, many manufacturing firms fail to futureproof their computer-aided manufactuirng process. That’s bad, because failure to futureproof can have devastating consequences on a manufacturing firm’s ability to operate. Scenarios include increased incidents of unplanned downtime, resulting in losses amounting to thousands of dollars. Not only that, they’re unable to deliver on orders resulting in customer complaints and reputational damage that they can’t recover from. This has proven to be the fate of many manufacturing firms worldwide in recent years because reputation is everything. We don’t want you to suffer the same fate. What if you put something in place that’s built with the future of your CAM process in mind? Then you can be confident that you can rely on your CAM system for years to come. Even better, you will cut costs, increase profits further and reduce the risk of unscheduled downtime. It’s no secret that the manufacturing floor poses numerous damage threats to ‘office’ computer equipment being used as part of a CAM process. Dust, dirt, airborne debris [such as metal shavings], heat, humidity and even your staff, all have the potential to end the life of a computer and ultimately your CAM process. Unfortunately, too many manufacturing plants are introducing ‘office’ computers to the manufacturing floor without any form of protection. We understand why manufacturing firms opt to do this. Firstly, it’s an inexpensive alternative to buying specialist computer kit, which can cost thousands of dollars. Secondly, it allows companies to keep computer equipment that they’re familiar with, avoiding the need to invest in new equipment and to retrain staff to use that new equipment. 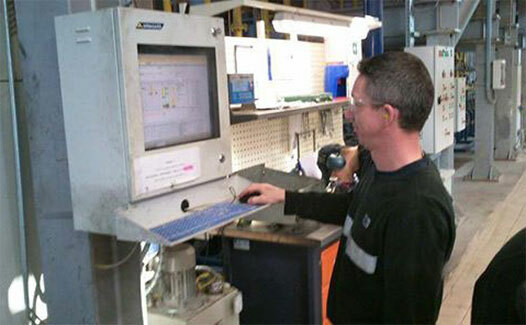 Thirdly, utilising in-house computer equipment minimizes disruption to the manufacturing floor. Equipment can be installed ‘after hours’ ready for the next working day. While introducing ‘standard’ computer equipment to the manufacturing floor is a great idea, doing so without protection is short-sighted. Why? The fact is, the ‘office’ computer is not built to last, with most having a maximum lifespan of five years under ‘normal’ circumstances. 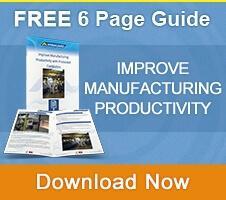 Pit them against a manufacturing floor environment and that lifespan is considerably reduced. Equally, computer technology quickly becomes outdated. Much like an Apple iPhone or iPad, just when you think you’ve got the latest computer technology with an Intel Core Processor inside, another computer arrives on the market. 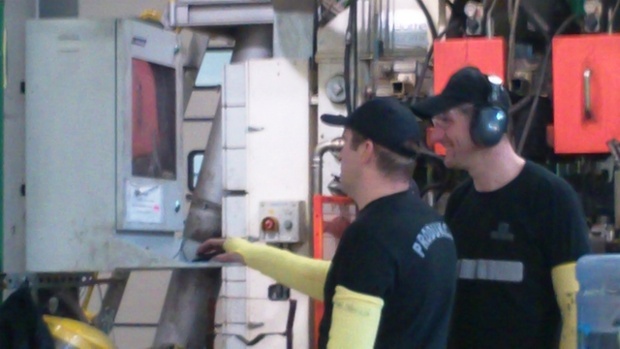 Without the future in mind, the manufacturing floor runs the risk of increased incidents of downtime or relying on outdated equipment that’s past its prime. Such scenarios can bring an entire manufacturing plant to its knees with increased costs and lost time. To avoid a manufacturing floor massacre, resulting in total shutdown, we recommend investment in industrial computer enclosures. The old method of simply introducing ‘office’ computers to a harsh environment is fraught with dangers, especially from a health and safety point of view, and is a threat to your business as a whole. Minimized risk of unplanned downtime, which saves you money, saves you time and protects your capacity to deliver projects on time. Long-term computer-aided manufacturing process protection, given that enclosures can last for up to 10 years or more. Improved productivity as a result of fewer downtime incidents. Greater reliability of the computer-aided manufacturing process, enabling staff to complete tasks efficiently. Computer enclosures afford you a flexibility that alternative solutions would struggle to match. You can use any mainstream computer system for your CAM process, and in the event that your computer equipment does breakdown it can be swapped out for a new system swiftly – again, minimizing downtime. Think of computer enclosures as a silent partner that diligently does its job in the background, but plays a crucial part in keeping your computer-aided manufacturing process running at optimum efficiency and taking your business to higher heights. That’s a cause you, your staff and your business can get behind. 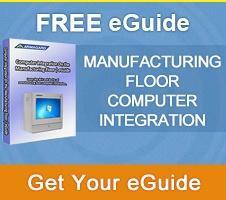 If you want to know what manufacturing floor pain points industrial computer enclosures can prevent, grab the newly published guide – click the image below.